Please place your order by 2:30 PM the afternoon before your Delivery or U-Haul Pick-up. 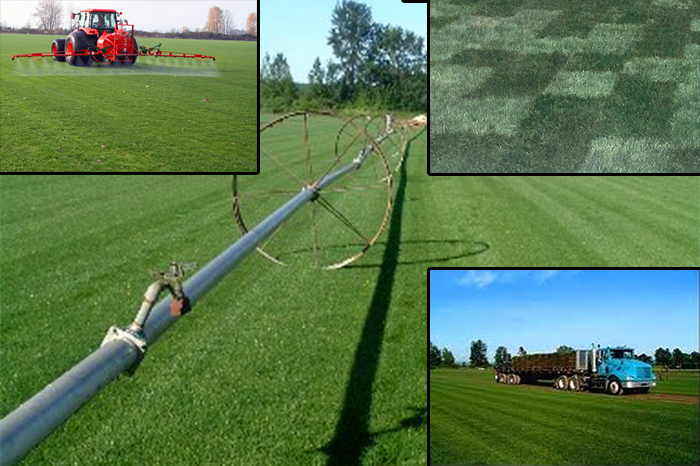 We harvest sod fresh for each order, to ensure you have the greenest and best product available. We accept personal or business checks and Visa, MasterCard, Discover or American Express. A $10.00 per pallet refundable deposit is charged for each pallet required for your sod order. One pallet holds a maximum of 500 square feet of sod. Our pallets measure 40 x 40 inches. Sales tax will be computed on ALL Washington sales with the exception of those Commercial customers with a valid UBI Resale Certificate on file with our office. If you are currently active in the Landscape Trade and are interested in applying for Commercial Pricing, please call us at 360-263-4700 or 877-725-5845. Our drivers work hard to accommodate your needs. However, in an effort to protect your property and ours we can only guarantee the placement of your turf on the driveway or at curbside. Through our experience we expect to take approximately 5 minutes to unload one pallet. In the instance of difficult sites — i.e. long driveways or other conditions that require more than 5 minutes per pallet to unload — we reserve the right to charge for this extra time at the rate of $80.00 per hour pro-rated at a minimum of 15 minutes. Thank you for choosing Far West Turf Farm!